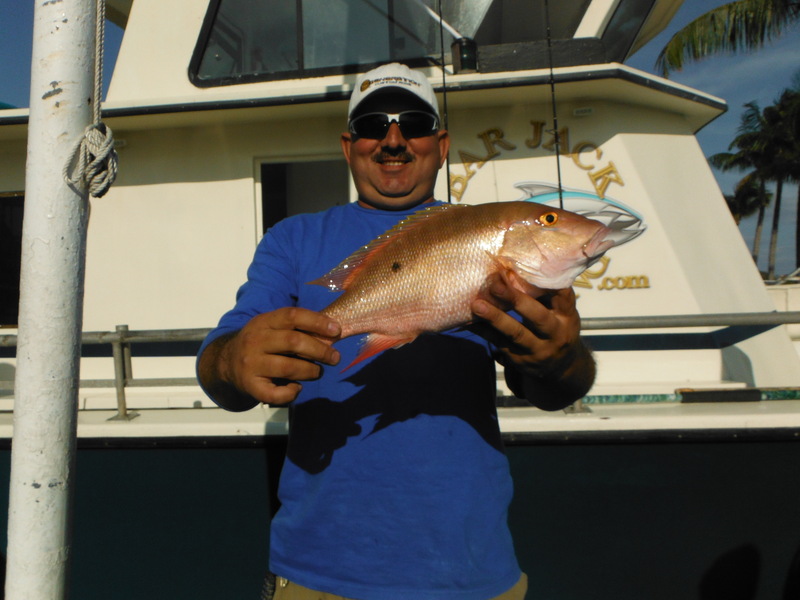 Cobia are beginning to show along the southern Palm Beach County reefs and wrecks. These fish can be taken on either a drift rig or a bottom rig like the pictured above. 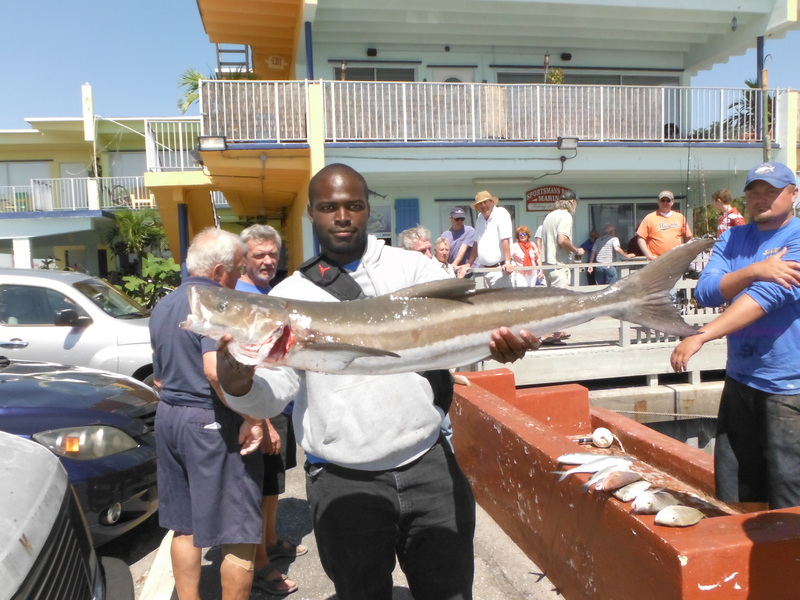 Cobia should start their migration throughout March, April and May. Mahi Mahi have also been moving through the area like this 14 pounder Hernando caught while flat-lining a sardine during Friday’s morning trip. The spring months should brighten up as this colorful and acrobatic fish move through the area. 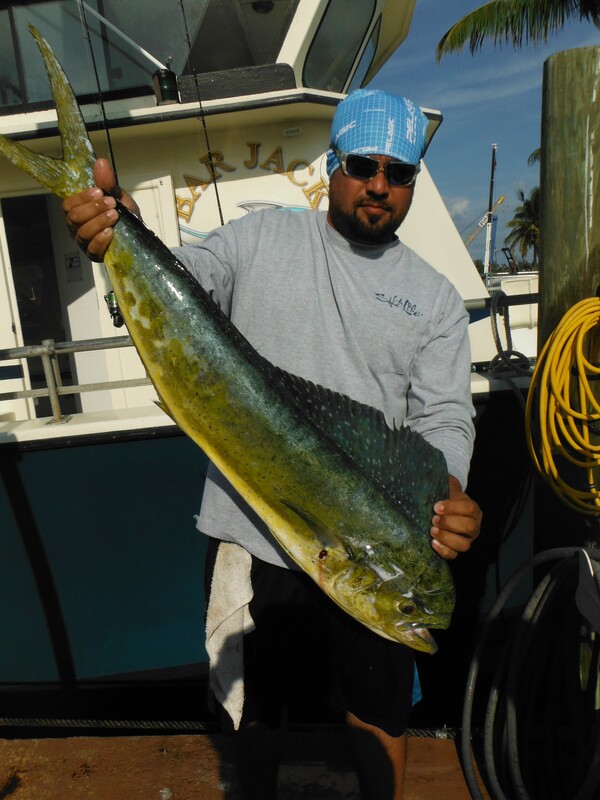 Mahi Mahi can be caught while anglers fish a flat line (no weight), a knocker rig, or a drift rig. Ask your crew for some tips and pointers on the way out to help increase your chances in hooking one these fabulous gamefish. 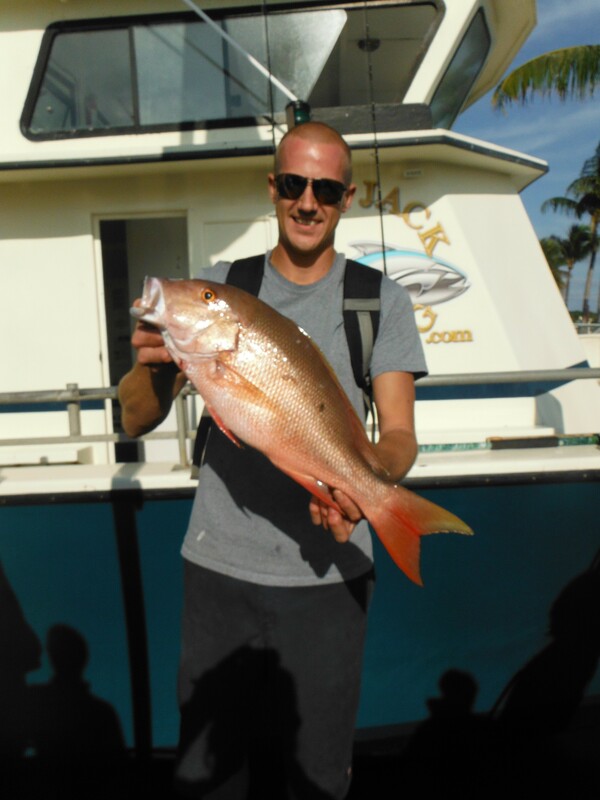 Mutton snapper like the one Brandon (above) and Robbie (below) caught during an afternoon trip will also be moving in as they prepare for their spring time spawn. Anglers should try to reel these fish in fast for Bull Sharks will be eagerly awaiting to take any snapper for its own dinner. Spring time is here so take a break from the everyday and come on out aboard the Lady K!